It’s almost the end of June and I have a mini-goal for myself: finish reading 50 books by the end of the first half of the year. It’s funny that the books I chose for my 50th are just extraordinarily long. Can my reading speed keep up to my goal by Wednesday? Let’s see! Good thing Wednesday is a holiday here. To recognize this effort, I’ve got two teasers for this week’s Teaser Tuesday! I hope that’s not spoiling anyone — it’s pretty far into the book already. 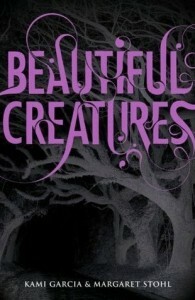 So far, this book feels like a male version of Twilight — I don’t know if that’s a good impression. But it’s dark and creepy and I’m enjoying it, I just hope it lives up to the hype? And it’s time for Sample Fridays! 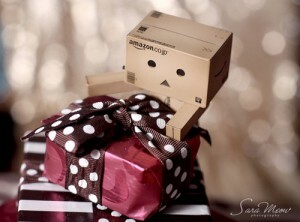 :) Sample Fridays is when I share three to five new samples I got from Amazon’s Kindle Store. Note that they’re not to-be-released books, but books that are already out that I want to get sometime, preferably soon. Sampling is a fun way to get to read the first few pages of the book to see if I really want it. :) So yay. Here are this week’s samples! 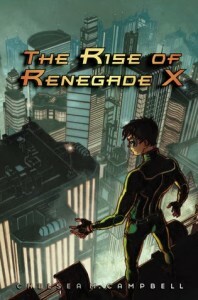 This sounds like Sky High meets The Incredibles, in a book. All my geeky tendencies are tickled pink with this book — I’m excited. :) I’m not much of a fan of the cover, though, since it looks more like a graphic novel, but the first few pages seem very interesting. Although maybe I shouldn’t put this in as a sample anymore, as I bought it yesterday. :P Heee. It’s the summer before senior year and Polly Martin has sworn off boys. Who needs the hurt and confusion? Five recent breakups have left her with an unnatural knowledge of NASCAR, the ultimate hiker’s outfit, a student council position, the sixth highest score on the Donkey Kong machine at the mall, and a summer job at Wild Waves with ex #2 Sawyer Holmes. Everything is going according to plan except… Miss Swoon turns out to be a man-crazy septuagenarian! And then there’s Xander Cooper. If only he wouldn’t keep showing up at Wild Waves with his adorable cousins every afternoon — and what is he writing in that little notebook? 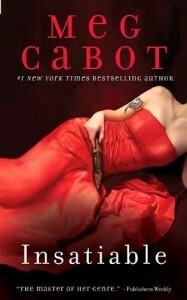 I’m not a fan of vampire fiction, even before Twilight, but I’m willing to read Meg Cabot’s try at this. I’m guessing Meena is named after that vampire lady that’s included in the League of Extraordinary Gentlemen cast (I think she was originally from Dracula)? This book seems very interesting, although I’m not too crazy about the cover — it looks like those dangerous romance novels that I avoid in the bookstore. Heh. From the moment Hannah Sanders arrived in town, she felt there was something wrong. A lot of houses were for sale, and the town seemed infected by an unearthly quiet. And then, on Hannah’s first day of classes, she ran into a group of cheerleaders — the most popular girls in school. The odd thing was that they were nearly identical in appearance: blonde, beautiful, and deathly pale. 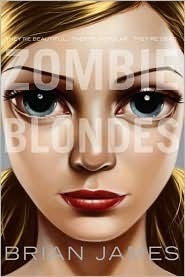 But Hannah wants desperately to fit in — regardless of what her friend Lukas is telling her: if she doesn’t watch her back, she’s going to be blonde and popular and dead — just like all the other zombies in this town…. How awesome does this sound? Zombies! I saw this book while looking at The Book Smugglers archives, and they got me at the word zombies. :P The cover looks simple but effective, too. Look at that barbie cover — can you imagine her being a zombie? I’ve been seeing this book in the blogs I follow in the web, so I finally gave in and got the sample. I haven’t read it yet, but from the looks of the blurb, it’s about ghosts, and from the looks of the Amazon reviews, it’s comparable to Twilight. I hope it isn’t like that, though — please no more of that. But hm, if it has the same story as Twilight, does this mean Iris will fall in love with a ghost? Interesting.